Richard Angelo was a former Eagle Scout and a former volunteer firefighter. He really wanted to be a hero and save someone to achieve that status. However, Richard Angelo would try to become a hero in the worst way, attempt to kill someone and at the last second try to save them. Angelo murdered death patients as his victims. His first try was unfruitful when he injected a foreign substance of drugs into the IV tube of John Fisher. The substance caused Mr. Fisher to go into critical condition and later that night he passed away. Although the exact number of Richard Angelo"s victims/attempts at failed heroism is unknown, it is estimated that between September and October of 1987, at least three patients died at The Good Samaritan Hospital because of his failed attempts. A patient named Gerolamo Kucich was recovering from heart problems when he noticed a bearded man come into his room and put some medicine into his IV tube. Thinking nothing of it since the man wore a hospital coat and seemed to be a doctor of little to no suspicion, he let him. However, later on Kucich would have difficulty breathing. He quickly pressed the emergency button and called a nurse. The doctor that came in to save him was none other then Richard Angelo. Kucich told his story to the nurses and suspicion began to arise about Richard Angelo. Kucich"s urine samples all showed traces of Pavulon. After a search of Richard Angelo"s apartment, he was arrested for possession of vials of Pavulon and Anectine in November. He confessed to the murder and the jury found him guilty for two counts of second-degree murder, one count of manslaughter and one count of criminally negligent homicide and received the maximum sentence of sixty-one years to life in jail. 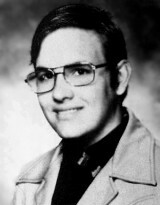 Richard Angelo serial killer is a male serial killer. Angel of Death is a male serial killer.